Christian Medical College is in internationally reputed medical college and tertiary care hospital.Through its continued dedication to health care, education and research,CMC has earned a reputation as one of the leading institution in India. Today CMC offers 90 recognized training programs in medical, nursing and paramedical fields. It is 2234 bed multispecialty,tertiary care teaching hospital, which comprises of a vital, diverse and Inter-denominational community. The Department of Biostatistics at Christian Medical College, was established first in the country in 1964. The department has been actively involved in data management, statistical analysis, report writing and training in collaboration with several departments of the institution and pharmaceutical companies. Biostatistics Resource and Training Center (BRTC) was set up in 1998 which works with governmental and non-governmental organizations, providing advisory and training services. This resource center also organizes workshops on recent developments in Biostatistics with the help of visiting faculties from abroad. In collaboration with University of North Carolina, Chapel Hill, USA, in the Department of Biostatistics, Christian Medical College, Vellore. There are close to 2,50,000 General Practitioners in India who have no access to postgraduate education. Since the government has not mandated continuous education for physicians, most of the GP’s do not make much effort to remain up-to-date with the developments in the medical education. The lack of continuous updating of the knowledge and skills by these GP’s has led to a situation where there are excessive referrals because they are not confident in handling cases even with the slightest complication. 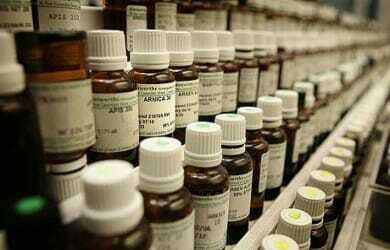 Are homoeopathic doctors elligible for this course?